'The Art and Making of The Flash' Review – AiPT! In addition to the recently published Batman: Facts and Stats from the Classic TV Show book, Titan just dropped this gem, The Art and Making of The Flash. Now in its third season, this Titan book documents the CW shows’ first two seasons and gives us an in depth look at the creative process. So is it good? The Art and Making of The Flash is a big book, not only in topic or content, but physically as well; and its size plays a huge role in why the book is a success. Thanks to the sizes of the pages, the featured images make a huge impression on the reader as we’re able to easily view and appreciate the character designs, face make-up, outfit details, and the final product as seen on screen. Without these prodigious page dimensions, this book would only be half as cool as it is — but instead we’re given a powerful tour behind the scenes of the hit CW show. The book is split into several sections: Heroes and Allies, Villains, Locations, and Weapons, Gadgets, and Vehicles. This book also includes a passage covering the making of The Flash and a foreword by the executive producer, Greg Berlanti. Because the book documents both the first and second season, there’s quite a lot of material that’s covered so this is no fast read. The book covers it all, dedicating short bios for the smaller characters (Tar Pit, Tokamak, Rainbow Raider) and up to several pages for the reoccurring villains (Captain Cold, Gorilla Grodd, Reverse Flash). What I enjoyed most about The Art and Making of The Flash is the fact that the character passages don’t simply give you the context of the individual, but include commentary by the creative team detailing the purpose of each character and what went into their design and integration into the show’s storyline. The content is equally as entertaining for adults as it is for kids as it depicts the graphic design of the characters and even the actors getting into makeup or the CGI construction of characters such as Grodd or King Shark. The material in this book isn’t something you could find on your own or even on the internet so if you’re truly a fan of the show this should definitely be on your wish list this holiday season. This book goes plenty deep into the making of The Flash while other books may only touch the surface of a show’s creation and history. It’s big, it’s packed with information, and it’s very well organized and constructed making it incredibly reader friendly. 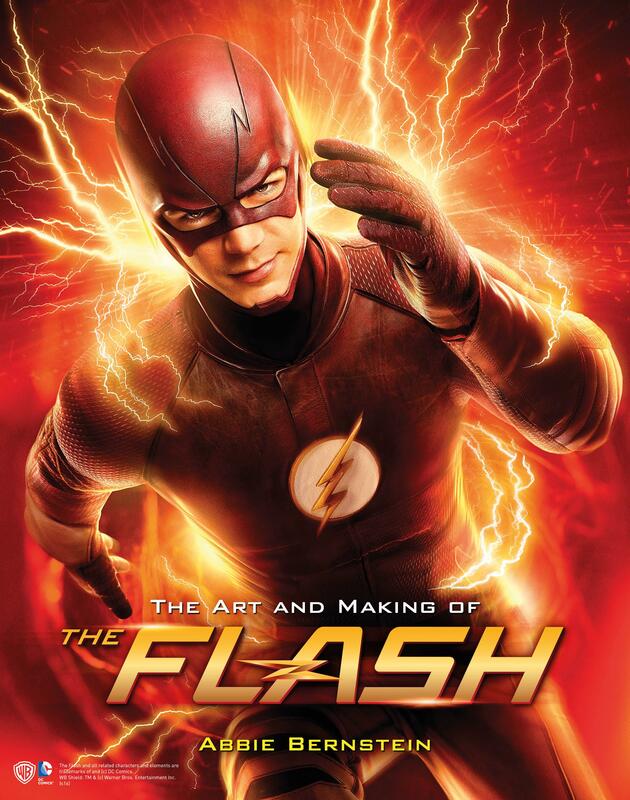 The Art and Making of The Flash is a must have book for both fans of the show and the comic.